Ready to use How to Take a Relational Time Out in 6 Steps? 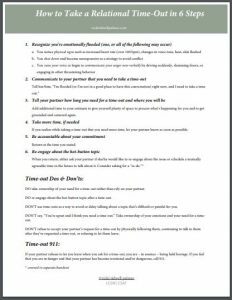 Enter your name and email below for immediate access to the PDF, How to Take a Relational Time Out in 6 Steps. Upcoming Online Courses and Intensives.